Thyroid illness affects hundreds of thousands of people every day, and it’s one of the most commonly undiagnosed and misdiagnosed health issues. 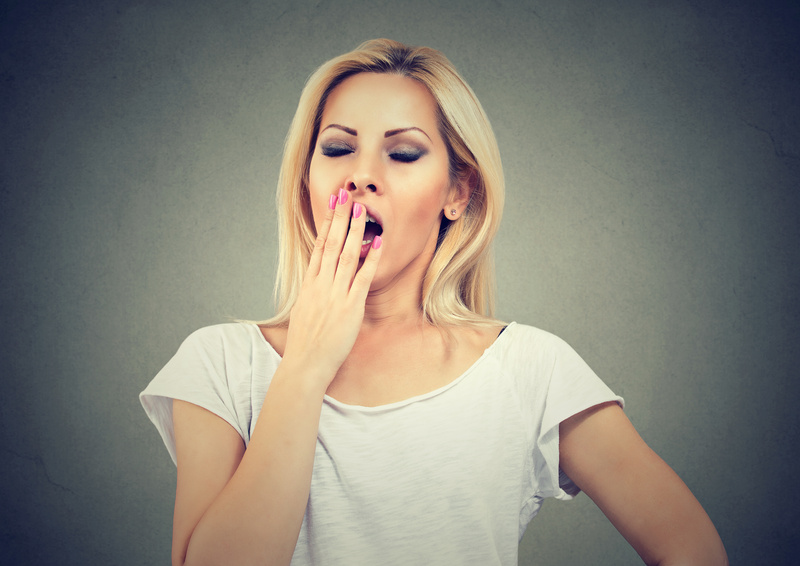 So many people brush off the debilitating symptoms of thyroid dysfunction as stress, not getting enough sleep, or just become accustomed to feeling tired all the time, while blaming themselves for the weight gain. 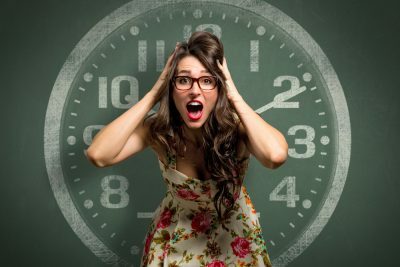 Have you been feeling “off” – like you’re just not yourself – for a long time? You’re under a LOT of stress in life – constantly on the go, and your mind is running day and night. All of this stress and strain is hard on your body on its own, but when you’re busy and stressed, you’re also less able to support your health. 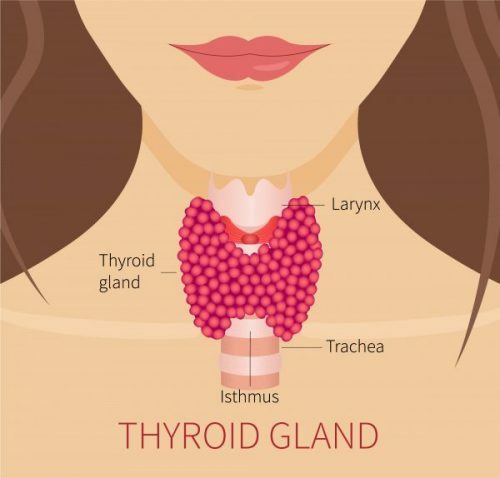 From living on convenient, processed food to not getting enough sleep, coupled with excess stress – this is all putting tremendous strain on your thyroid system. It's Time for Thyroid Recovery! All of these symptoms outlined above point to a larger issue of thyroid dysfunction. The constant battle with debilitating symptoms, chronic fatigue, and constantly feeling disconnected from the world is frustrating. You’re struggling to get through each day, and you’re worried you’ll never feel healthy or energetic again, I want you to know that you are NOT alone. Take heart … there is hope! What if you could experience thyroid recovery in 30 days with just a few lifestyle changes? Sounds amazing right? Find Recovery in Just 30 Days! So much of how we live out life is damaging to our bodies. Our lives are sedentary, whether we are working all day at a desk, laying on the couch playing on our phones, or lying in bed too exhausted to budge, we don’t have the energy to move and take part in activities or exercise. Unfortunately, not only are we sedentary, the food choices we tend to make when we’re in this state can be less than ideal and may even be more toxic to our bodies. This unhealthy living sends your thyroid into a downward spiral and leads to the series of chronic symptoms you’re struggling with. One Month To A Fresh Start! Is it really possible to get your health back in just 30 days? Absolutely! In just one month, you have the ability to reset your thyroid and begin feeling healthy, revitalized, and renewed! In almost no time, you’ll sleep better, feel more clear-headed, and you will even see healthier skin and hair! Imagine starting to feel back to your normal self in just a few weeks! You can get your health back and enjoy a life of physical and mental wellbeing. When you heal from thyroid dysfunction, you can get a fresh start on the life you want to live! Take this first step toward a healthy, beautiful life! Are you ready to take the first step towards revitalizing your physical, mental, and hormonal health? Are you ready to invest in your wellbeing and to make your health a priority? Are you ready to show yourself the same care and love as you show to those around you? Are you ready to nourish body and mind and finally allow your body the opportunity to recover and heal from thyroid dysfunction? It’s just $197. Regular price $297. You can do this program as a DIY and still get email support email. Are you wondering how you can restore your thyroid in just 30 days? I know it may sound too good to be true, or maybe you’re worried that there are a lot of pills and powders involved. Here’s the thing … this program is all about rebuilding your health through nutrition, healthy lifestyle changes and knowing the best foods to eat to support all aspects of your health. 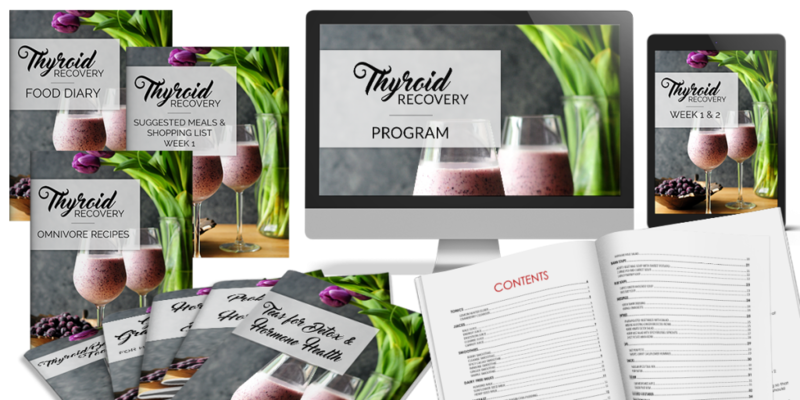 I’ve created the Thyroid Recovery Program specifically to help you naturally reset your thyroid and allow your body the opportunity to heal from years of damage. This program gives you nothing but the best resources for learning, recipes for healing, nourishing foods, plus guides, support, and advice along your journey to health and happiness. Two Thyroid Recovery Guides – For the first two weeks of the program, you’ll have the Hormone Reset Guide to better understand how to achieve better hormone balance. The second guide, The Hormone Mindset, is for weeks 3 and 4 to help you learn how to renew your mindset to achieve full health. Recipe Guides – Enjoy delicious recipes that follow expert-recommended Autoimmune Protocol. Thyroid experts agree that the Paleo eating plan is best for healing, so you are getting the most flavorful, nutritious grain and bean free recipes to nourish your body and leave you feeling satisfied. There are both vegan AND omnivore recipes guides available. Suggested Meals and Shopping Lists – Make meal planning and grocery shopping hassle-free with four full weeks of sugested meals plus pantry shopping lists to help you get everything you need. Suggestions for breakfast, lunch, dinner, and even snacks are included in this helpful resource! Food Diary – Keep track of not only what you eat, but how you feel on your recovery journey. Plus, this is a great way to determine how your body reacts to certain foods and explore your bio-individuality! Extra Bonus – 2 twenty minute consutations with me to discuss your health concerns. I’d been to so many doctors, and they kept saying I was fine, but I KNEW there was something wrong. It was so frustrating to be told that my tests came back normal when I felt anything but normal. I heard about the Thyroud Recovery, and ALL the symptoms of thyroid dysfunction lined up with mine, so I decided to try it. I was surprised to find that within a week I was feeling better, and by the end of the program, I felt better than I had in years. Janice really took the time to answer all my questions and led me every step of the way. I was exhausted, I felt like crap, and I kept gaining weight even though I was constantly trying one diet after another. I decided to do the 30-Day Thyroid Recovery Program because nothing else had worked. I was able to lose 8 pounds by the end of the progam, and I look and feel 10 years younger! I knew I had problems with my thyroid, but I resisted treatment because I didn’t want to live on medication and pills. I wanted to try Thyroid Recovery because it was all-natural and nutrition-based, and I’m really happy it worked. I like to take a natural approach whenever I can. I’m not interested in taking a lot of pills with side effects that are worse than my actual health problem. This program was easy to follow and the support group helped me realize I wasn’t the only one going through this. I look and feel so much more energized and healthy, it’s been pretty amazing! Do I have to take a lot of supplements? No, you don’t. There are a few supplements (like a good probiotic) you may want to take to enhance your program results, but it’s entirely optional. You’ll be able to discuss your particular needs wit Janice during your complimentary strategy session. Is this program just for vegetarians? This program is for vegetarians as well as omnivores. Your choice – we have a recipe for both! Will I lose weight during this program? There are no guarantees, but it’s very likely that you will lose weight during the program. When your thyroid isn’t functioning properly, it can impact your other hormonal systems. An imbalance in your cortisol, testosterone, estrogen, and insulin hormone levels can slow down your metabolism and trigger weight gain. Eating healthy food and creating new lifestyle habits that support thyroid function can improve metabolism which will allow your body to lose excess weight naturally. Schedule a complimentary strategy session with Janice. She’s happy to answer any questions you may have!